(March 2006) The Spring 2006 school session is in full throttle and between teaching courses on small group communications, public speaking and a documentary film class, I’m also serving as an advisor to a group of Roger Williams University students making their first documentary short. The films I am screening in my Doc class provide a rough chronicle of film history and touch on everything from historical recreation to outright propaganda. I was amazed at the trenchant power of Leni Riefenstahl’s “Triumph of the Will,” during a recent screening and how a film from 1934 was able to have such an international impact. It made me think about current world affairs and the power of imagery. How often today are we held captive my such imagery and political forces twist and turn them to their advantage? So just what is a documentary and how is it different from the films that regularly screen at the multiplex? The French were the first to use the term which referred to any non-fiction including travelogues and instructional films. The earliest "moving pictures" were by definition documentary. These were single shots or scenes; moments captured on film, whether of a train entering a station, a boat docking, or a factory of people getting off work. Early film (pre-1900) was dominated by the novelty of showing an event. These short films were called “actuality films.” They had little or no storytelling and took place before the turn of the century. The technological limitations of the time meant that cameras could hold only very small amounts of film; so many of the first films were a minute or less in length. With Robert J. Flaherty's Nanook of the North released in 1922 that saw a turn in documentary film where romanticism was embraced. Flaherty went on to shoot a number of heavily staged films, usually showing how his subjects would have lived 100 or more years earlier and not how they actually lived. But it was with the introduction of newsreels that changed the nature of the documentary film. The newsreel tradition is an important to appreciate. Of course, newsreels were also sometimes staged but were usually reenactments of events that had already happened; not attempts to steer events as they were in the process of happening or alter a truth or reality. For instance, much of the battle footage from films of the early 20th century was staged. The cameramen would usually arrive on site after a major battle and reenact scenes to film them. Few in the general public had any idea this is what had taken place. Dziga Vertov was involved with the Russian Kino-Pravda newsreel series ("Kino-Pravda" means literally, "film-truth," a term that was later translated literally into the French cinéma vérité). Russian films of the period were not always truthful and selectively mixed images. This leads us to another area of documentary film: propoganda. The propagandist tradition consisted of films made with the explicit purpose of persuading an audience of a specific point or perspective. One of the most notorious propaganda films remains Leni Riefenstahl's film Triumph of the Will, the film I screened at my class. Another example from the period was Frank Capra’s Why We Fight series in the United States. Capra was explicitly contracted to create the series as a propaganda newsreel, covering different aspects of World War II. These films had the daunting task of persuading the US public to go to war; which of course they accomplished. Today, the documentary genre has become increasingly successful in theatrical release with films such as March of the Penguins, Fahrenheit 9/11 and currently Why We Fight. Compared to dramatic narrative films, documentaries typically have significantly lower budgets. This has made them attractive to film companies because even a limited theatrical release can be highly profitable. Remember the success of the pseudo-doc, The Blair Witch Project? Of course, the nature of documentary films has changed in the past 20 years from the cinema verité tradition. Landmark films such as The Thin Blue Line by Errol Morris, which incorporated stylized re-enactments, and Michael Moore's Roger and Me, which made claims of a real chronology that were later questioned by critics, placed far more overt interpretive control in the hands of the director. Indeed, the commercial success of the documentaries mentioned above may owe something to this narrative shift in the documentary form, leading some critics to question whether such films can truly be called documentaries. The recent growth and public acceptance of the documentary genre, and the advent of low-cost DVDs, has made documentaries financially viable even without a public cinema release. Documentaries are also being released only on the internet for those with broadband access. Modern documentaries have a substantial overlap with other forms of work created by and for television; specifically with the development of so-called reality television that occasionally verges on the documentary but more often veers to the fictional or staged. Ask yourself, how much of what we see is real or tweaked during the editing process? As film production kicks off in the Ocean State this month with the arrival of Disney’s live-action “Underdog,” I started thinking about the individuals who toil year-round locally within the industry. Modern lightweight digital video cameras and computer-based editing have greatly aided documentary makers, as has the dramatic drop in equipment prices. Today, courses in film production touch all ages. Filmmaking has become a truly democratic art form. I spoke recently with two filmmakers based in Rhode Island who have embraced the new technology and have been successful in their efforts to create a solid business within the industry. The company is called Two Sisters’ Production and is run by two real-life sisters: Toni-Ann Baker and Diane St. Laurent. Prior to Two Sisters’, Toni-Ann Baker held the position of VP and Productions Manager of a local jewelry design and manufacturing company for 5 years before starting her family and raising three children. Toni-Ann continued to freelance as a Business Consultant. Her education is in Business Management, as she has attended Rhode Island College and Katharine Gibbs. Her passion and commitment remain true to herself both personally and professionally. Toni-Ann is also an artist who specializes in oils and she is heavily involved with her church, community service and education programs. Prior to Two Sisters’, Diane St. Laurent holds a BS degree in Business from the University of Rhode Island with a concentration in Management Information Systems. In the past, Diane held varying executive positions at GTECH Corporation, VP Product Development, VP General Manager UWIN! Internet Division and VP Worldwide Software Services. She was employed by GTECH for 15 years. Diane also attended the New York Film Academy where she received a certificate in Film Production and she also holds another certificate in Entertainment Media Management from New York University. Today, outside Two Sisters’, both Diane and Toni-Ann are very active working on both business and community projects, sometimes collaboratively and sometimes independently. GTM: How you got involved in this medium? Toni-Ann Baker: The idea of Two Sisters’ really started when we were kids. Diane and I would go to the movie theater and watch movie after movie all day-then would go back the next day to watch them again. Ten years ago we came on the scene with our first completed script Rae’s Closet that we co-wrote. From there, we honed our skills by formally educating ourselves and worked on production after production to gain the experience. Five years ago, timing seemed right, so we decided to make our dream a reality! We started our own film and video production company in Cranston, Rhode Island. GTM: What challenges have you faced in running your own media company? Toni-Ann Baker: You learn something new and different with every film. It is entirely cathartic. Every film we do is an extension of the previous. Technique and style often collide or overlap. Many of our films have been focused on the human element, relationships between ordinary people in extraordinary situations. For example, 49 Take Street is about a woman fighting back against her stalker, while another film, Panic shows an agoraphobic mother whose daughter mysteriously disappears. Of course, our ability as filmmakers has developed, but so has our savvy within the film business. We shot our first three shorts in New York on 16mm black & white. We sometimes have to pinch ourselves really. GTM: Why did you choose to work in RI instead of Massachusetts or New York? Toni-Ann Baker: That’s an easy one to answer! Diane and I grew up in Rhode Island. It’s where our roots are and where our family is. There has never been a question where we’d make our films. GTM: What are the advantages you've discovered vs. the disadvantages? Toni-Ann Baker: Probably the only disadvantage we’ve encountered is that there are too few film projects to work on and little money around to fund them. Also, there isn’t really enough free or inexpensive studio space available while we are in between full-production projects. The list of advantages can go on forever, mentioning a few: RI has a wonderful pool of talented actors and production professionals; a beautiful and small state offering great location opportunities. Knowing lots of family and friends to work as extras and the grand historical theatres like, the Columbus Theatre in Providence and the Jane Pickens in Newport, to showcase our work! GTM: What's been your biggest challenge in working in the state of Rhode Island? Toni-Ann Baker: Probably funding, but the recent appointment of Director, Steven Feinberg to the RI TV and Film Office is bringing excitement to all of us in the Film industry, big or small! He had begun to make RI a true “Film Friendly” state with tax incentives and opportunities for everyone. He has been collaborating with the RI State Arts Council to create and provide more opportunities for future funding prospects. GTM: Weren’t in New York for a while? GTM: Tell us about some of the projects you’ve worked on. Toni-Ann Baker: Diane and I collaborate on all projects, taking turns between Producer, Director and Writer. We are both storytellers, but we have our own style. Diane just finished directing and co-producing, A Lively Experiment, about the history and legacy of Dr. John Clarke. She has also directed Pop’s Harley, The Deadly Consequences of Drunk Driving, Freedom, and A Hardened Heart. On the flip side, I produced Pop’s Harley, wrote and produced A Hardened Heart, directed 49 Take Street, and wrote and directed Change of Address. I also wrote and produced The Deadly Consequences of Drunk Driving and co-produced A Lively Experiment, Dr. John Clarke, Co-Founder of RI (1609-1676). Diane and I together spearhead every production, but we wouldn’t be here today, if it wasn’t for the amazing local talent in the area. We have mostly used the same Director of Photography (Jim Smith) and Editor (Frank Raposo) on our projects. Then again, our irreplaceable script supervisor/line producer, Susan Mateus or “Suzie”, and Production Coordinator/Craft Services, Elizabeth St. Laurent or “Lizzie” have, been with Two Sisters’ since the beginning. All are truly invaluable assets to our productions! GTM: How have you been able to secure funding for the work you've done? Toni-Ann Baker: Good question! No straight answer. We started by funding some of our own projects while building our portfolio, and then we began to multi-prong our company in an effort to bring in revenue. We offered film classes for children, took on some commercial video projects, did some business and marketing plans for local business owners while praying some great commission projects would come our way! Fortunately, a friend of ours saw “A Hardened Heart” a 30 min short film we made, and thought of his cousin John DeCubellis. We began working with the Katie DeCubellis Memorial Foundation in producing an educational video series on the dangers of drunk driving and substance abuse. It conveys the story of Katie, a thirteen year old, which was killed by a drunk driver in 1999. The film cinematography included dramatic film reenactments that effectively captured the emotion after the crash. These films are award winning and have been distributed nationally to driver’s education organizations. During this great project, we were granted the rights to Meg and John DeCubellis’ story. We are actively working on a documentary, the story of their plight after the death of their daughter Katie. This film is presently in postproduction and should be completed by summer’s end. Opportunities come to us by way of people seeing our work, word of mouth, film festival screenings and press releases. GTM: What drives you as you go from project to project? What would you like to see happen with your work? Toni-Ann Baker: Diane and I like to work on new things. As artists we like variety. We tend to attract non-profit work, human rights projects, and sensitive issue video projects. Our films are usually about characters dealing with real life issues. We hope our work will continue to evolve as we move forward and find new audiences for our efforts. Also, we wouldn’t mind selling our work to make a profit on our investment! We do love film festivals! GTM: What's it like working in a business with your sister? Do you socialize outside of the office? Toni-Ann Baker: It is extraordinary to work with my sister! To realize a childhood dream is exciting and fulfilling in many ways. We socialize all over Rhode Island! There’s nothing more to say. We love collaborating on films together. GTM: Could you tell our readers about the documentary you completed on John Clarke, how it came about and the response it's been given? It will be screened at the Roving Eye Documentary Film Festival in March and April. 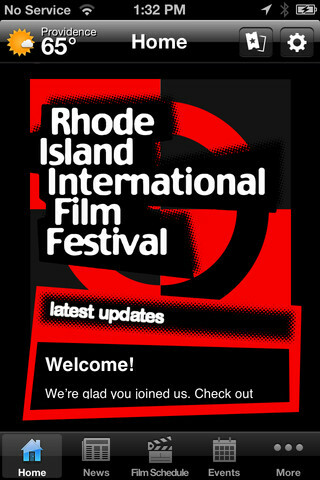 (a production of the Rhode Island International Film Festival). 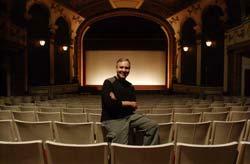 The Newport premier of A Lively Experiment filled the Historic Jane Pickens Theater to near capacity this past Sunday. It wasn’t the free popcorn or introductory remarks that brought so many people into a theater on a sunny autumn afternoon. It was the desire to learn more about one of our most esteemed founders, John Clarke. Local artist William McAllister began his independent documentary with Clarke’s 1637 arrival in Boston. Masterful cinematography and thoughtful editing provided a compelling sense of Clarke’s extraordinary courage, talents, and far reaching influence. An ordained Baptist minister, John Clarke held antinomian beliefs that made life in Puritanical Massachusetts impossible. Together with Wm. 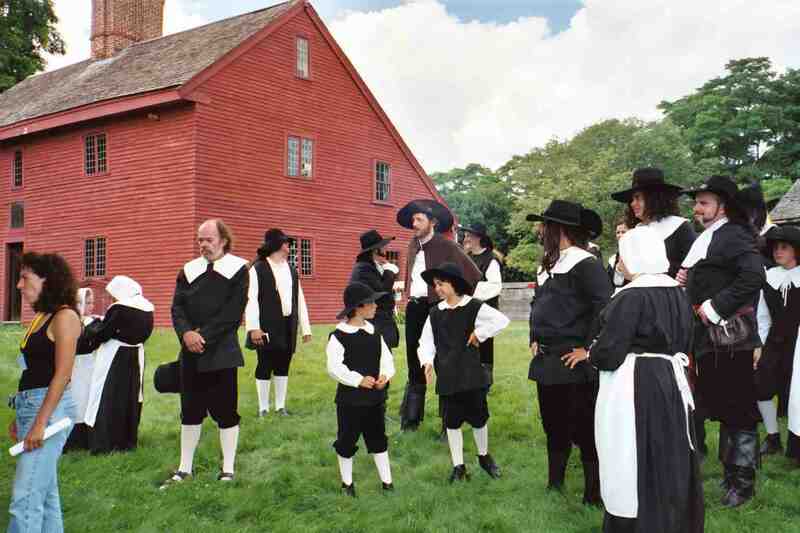 Coddington, Ann Hutchinson, and Roger Williams, Clarke settled Rhode Island based on religious tolerance. His most salient work was undoubtedly drafting the Royal Charter of 1663. Signed by King Charles II, the Charter established Rhode Island as a colony and set forth the lively experiment. The Charter later served as a paradigm for personal rights and the separation of church and state established by our founding documents. At a time when most movies are made for little boys who love car chases and explosions, this film was a welcome change. Many thanks to the John Clarke Retirement Center Board of Trustees for funding the film, Mr. McAllister, writer and director Diane St. Laurent of Two Sisters’ Productions, the Newport Historical Society for presenting an exhibit of John Clarke documents, and other contributors to the program. GTM: Are you where you want to be with Two Sisters’ Productions at this point in time? Toni-Ann Baker: Yes. Recently, we moved our studio to my home office to cut down on the overhead while in postproduction as we finish two active projects: a documentary called “On October 29th”, written, directed and produced by both of us; “Change of Address”, a short narrative film written & directed by myself and produced by Diane; on the horizon for spring is the completion of a project called E-Motions, which is an empowerment video of women surviving from breast cancer. It has been developed by a spiritual, energetic, and joy filled woman named Judy Cerrito - her company is called Helping Others. GTM: If you could have an ideal environment and ideal circumstances, what would they be in relationship to your work? Toni-Ann Baker: We would love to work full time on our own projects, as well as, along side of other local filmmakers in bringing our visions to the big screen. Also, it would be nice to be adequately compensated while doing it! 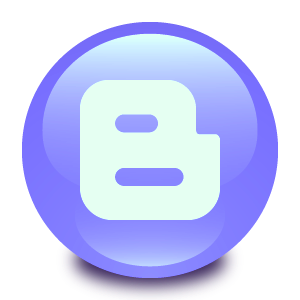 GTM: What is your dream project that you'd like to undertake? Toni-Ann Baker: It is Rae’s Closet. It is a full feature screenplay we have been working on for 10 years together. We would love to film it in RI with local actors and crew taking advantage of the new tax incentives for investors! GTM: Where do you see yourself and your company in ten years? Toni-Ann Baker: Honestly we don’t know. Over the past 5 years, we’ve moved the studio three times, and our Business Plan has been revised over and over again. I suspect Two Sisters’ will continue to grow at it’s own pace as opportunities present themselves. That’s fine with us. We have been fortunate so far and are excited about the future! GTM: Is there something you would tell or advise young people who are breaking into the business? Toni-Ann Baker: Enjoy the ride!